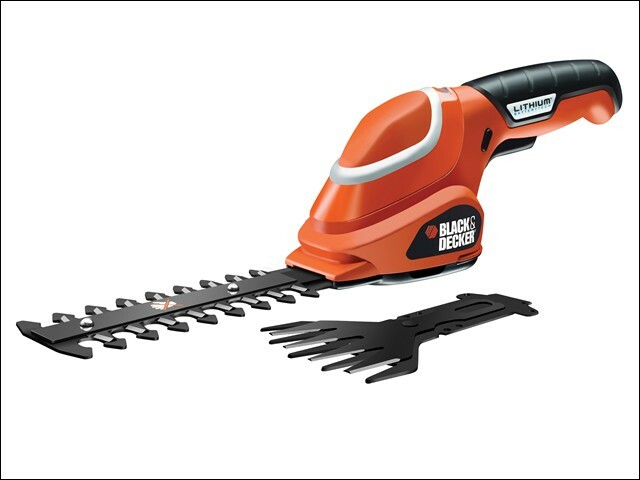 The Black and Decker 7 Volt GSL700 Shear & Shrubber is two tools in one. The quick and easy blade change system enables the blades to be switched between trimming and edging with the minimum of effort. The docking station and charger are separate to provide for maximum flexibility in the charging location. 1 x 1.2Ah Li-ion Battery. Blade Length: 10cm, 9mm gap.